So what do you do after you’ve trained over 6 million leaders around the world? ​You mobilize them to transform their nation. The Global Transformation Initiative was born in the heart of Dr. John C. Maxwell with the goal of transforming an entire nation by influencing the leaders of the main streams of social influence in that country- business, government, education, the church, family, media and the arts- and equipping them to create transformation right where they are. Marching for Transformation in the streets of Guatemala. To achieve something so large, it takes more than just an event. Transformation is a multi-year process that uses a values-based curriculum and roundtable format as the main tool to transmit values, improve relationships and lead people to action in transforming their communities. Global Outreach Ministries, through our leadership division, Lidere, is serving as project directors for this Initiative in Latin America. In 2013, with the support of then-President Otto Perez Molina, the Transformation Initiative began in Guatemala with more than 75,000 people trained. Working together with Guatemala Próspera, and under the program entitled “Transformation is Within Me”, the Transformation Initiative has continued to grow. There are currently over 170,000 people being trained throughout this flagship country. The response to the values-based roundtables has been incredible. Some of the largest companies in Guatemala have implemented the training in their organizations. The Ministry of Education has made the training mandatory for the 168,000 public school teachers. Launching Transformation with public school teachers in Guatemala. In early 2016, at the invitation of President Horacio Cartes, John Maxwell and a group of 250 John Maxwell Certified Trainers converged on Asuncion, Paraguay for the launch of Transformation Paraguay. For 5 days, they met with top government, military, education, business, faith and community leaders, and trained 20,000 of them as the first group of roundtable facilitators in the values-based curriculum. After completing the 10-week curriculum, the roundtable participants will be mobilized to become facilitators for the next session of roundtables. This Paraguayan newspaper headline reads: "John Maxwell has already trained 20,000 Paraguayans." The vision of Transformation Paraguay is to train 10% of the population (700,000 people) in the Transformation curriculum which will create a tipping point that causes Transformation to move from being an Initiative to becoming a Movement that transforms a nation. 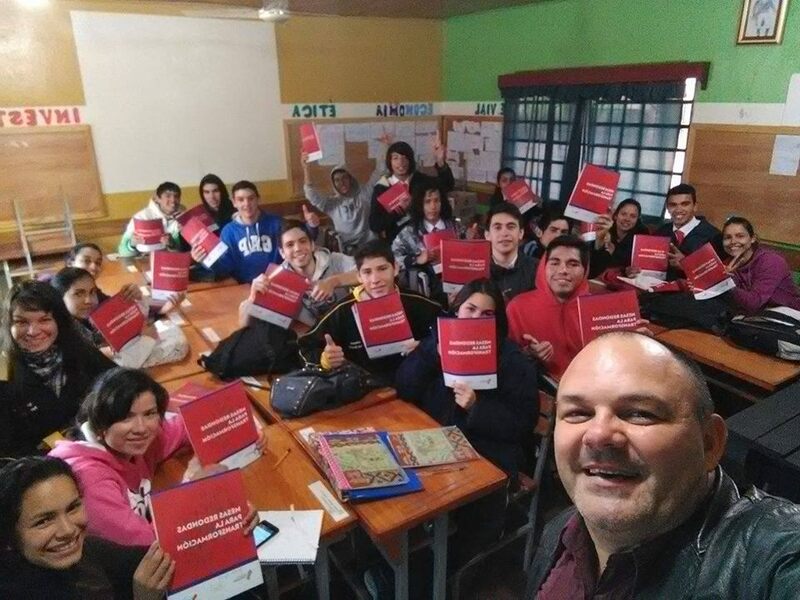 Students in Paraguay participating in the Transformation Roundtables. 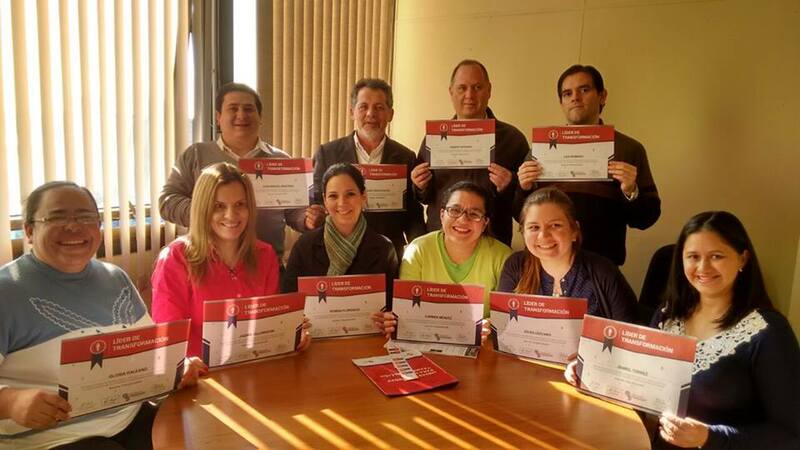 Government workers in Paraguay receiving their certification to become Transformation Roundtable Facilitators. John with Tim and Gaby Teasdale, the Founders and Directors of Transformation Paraguay. John Maxwell never imagined that the simple act of signing Gaby's passport with the word Transformation would lead to an entire country being transformed. In 2013, Gabriela Teasdale attended a John Maxwell Coaching event in Florida to become a certified coach. During a book signing session with John Maxwell, Gaby found herself without a book to be signed. She decided instead to ask John to sign her passport and to include a word that she could take back to her country. He took her passport and wrote the word "Transformation". Gaby collected her passport and returned home but found that she couldn't get the word Transformation out of her mind. She and her husband Tim asked themselves the question, "What could we do to bring transformation to Paraguay?" Gaby decided to attend one of the Transformation Guatemala events to see what transforming a nation would really look like. While she was at that event, she approached John Maxwell with a copy of his Intentional Living book. She asked him to sign the book, not for herself, but for the newly-elected president of Paraguay. John Maxwell asked her, "Do you know the President-elect?" Gaby shook her head and replied, "No...But I will." What Gaby didn't know then was, at the very moment that she was getting the book signed, her husband Tim was receiving a call inviting them to attend an event with President-elect Horacio Cartes. At that event, Gaby was able to present President-elect Cartes with the autographed copy of John's book. Gaby and Tim knew that this meeting was more than just coincidence. God was preparing the way for the day when, just a short time later, President Cartes would sit face to face with John Maxwell and ask for his help to transform his nation. Tim and Gaby started to move full speed ahead with their plan to see their nation transformed. They started a nonprofit organization, Transformación Paraguay, together with their friend Bruno, a successful businessman who shared their same passion to see Paraguay transformed. They put together a team, brought John Maxwell to Paraguay and began the enormous task of bringing Transformation to their beloved country. 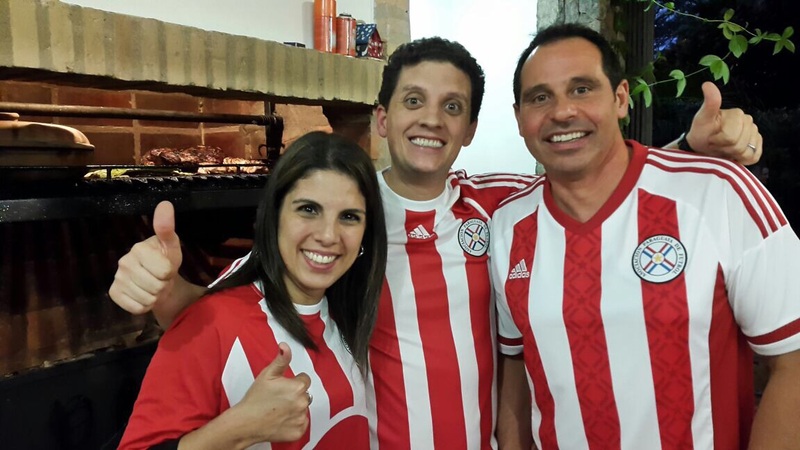 In just a little over 3 years from the day that John Maxwell wrote the word "Transformation" in Gaby's passport, Paraguay is now in full transformation mode. There are currently over 200,000 Paraguayans who have taken part in the Transformation roundtables. The initiative is well on its way towards reaching the goal of training over 700,000 Paraguayans (10% of the population) in the values-based curriculum. herself to be transformed by one word…TRANSFORMATION."